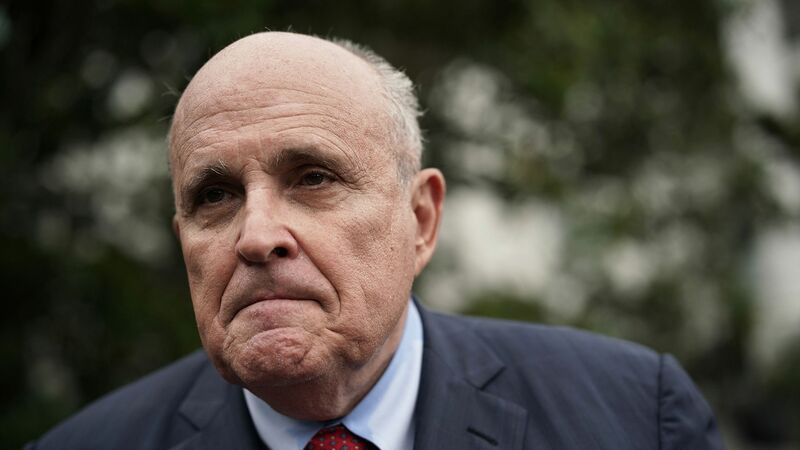 President Trump's attorney Rudy Giuliani issued a statement Friday denying the BuzzFeed News report that Trump directed Michael Cohen to lie to Congress about plans to build a Trump Tower in Moscow. Why it matters: This is the Trump team's first direct denial of the explosive allegations. It comes after White House Deputy Press Secretary Hogan Gidley and Kellyanne Conway declined to explicitly deny the report this morning. "Any suggestion — from any source — that the President counseled Michael Cohen to lie is categorically false. Michael Cohen is a convicted criminal and a liar. To quote the prosecutors, he has traded 'on a pattern of lies and dishonesty over an extended period of time' and for that 'he is going to pay a very, very serious price.' Today's claims are just more made-up lies born of Michael Cohen's malice and desperation, in an effort to reduce his sentence."